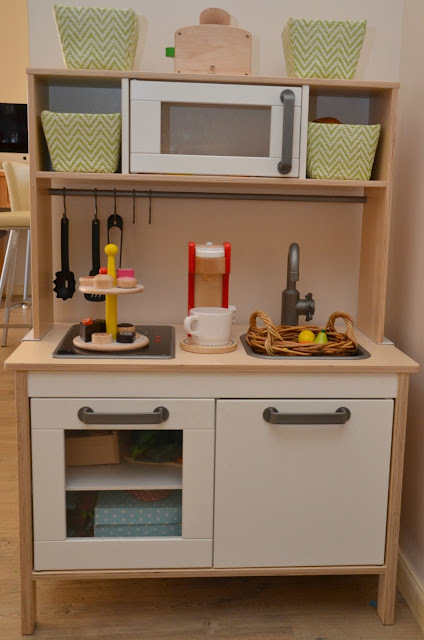 Our play kitchen has been one of our most used areas by both of the kids. Miss M got it for her second birthday, and since Little Man turned one, he has become more interested in it. He opens and shuts the doors, presses buttons, bangs on the pots and empties out baskets (we are entering that "trash the house" phase with him). Miss M's interest comes and goes, but it's always sparked when we add something new or change it up a bit. 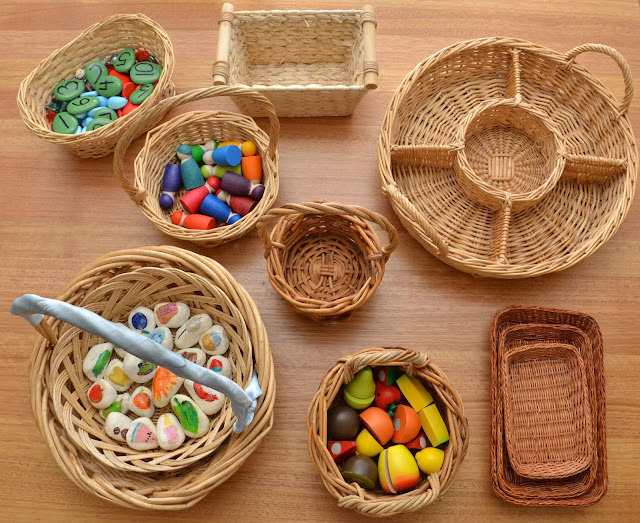 We've added to our collection of resources over time (some #gifted for features on the blog and social media) - so this post aims to be a bit of a "one stop shop" if you're looking to set up a play kitchen or want to add some new things to your existing one. If you don't have one, it's the ideal present for a toddler or preschooler. Imaginary play is such a big part of childhood. As your child has observed you in the kitchen for hours preparing meals and washing dishes, naturally they want to be just like you. Monkey see monkey do! Kitchen make believe play is such a great way to encourage language development - particularly of "action words" as they play. So this is what we've got and where to get it all! Pots and pans, utensils etc. (again we got ours from IKEA). I love that this set is realistic, metal pots and mini real life utensils. Tea set for tea parties (this one was a gift so I don't have a link sorry!). But they aren't hard to come by. Play food - we love the wooden chop chop fruits from Finlee and Me and the wooden pastries from Mr Kipp and Little Jimmy. I recently discovered you can purchase individual food items from Mr Kipp and Little Jimmy so that's really handy to know if you're after something specific. 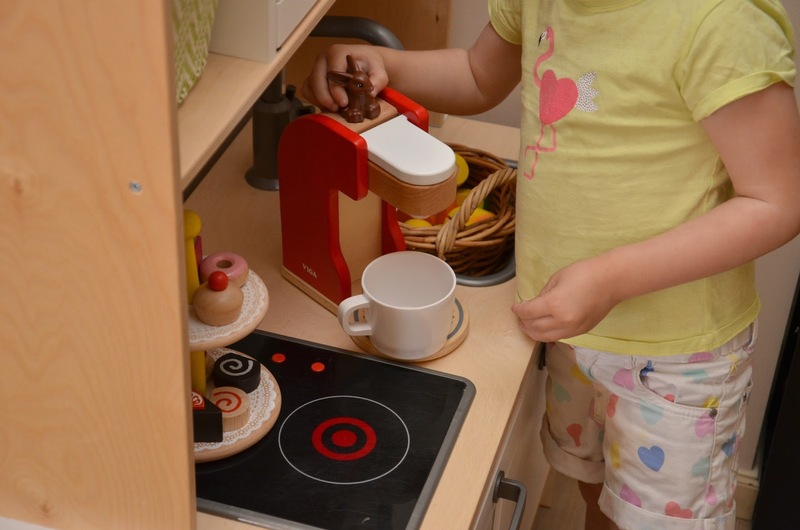 Our play kitchen was complete when we got this coffee machine from Offpsring Education. We've gathered some other appliances too like a toaster and blender (the blender actually works would you believe! Again a gift so sorry no link). Baskets for storage and play - I have a huge collection of cane baskets. Can't leave an op shop without getting one. There is also a HUGE range over at my favourite The Creative Toy Shop (affiliate link). 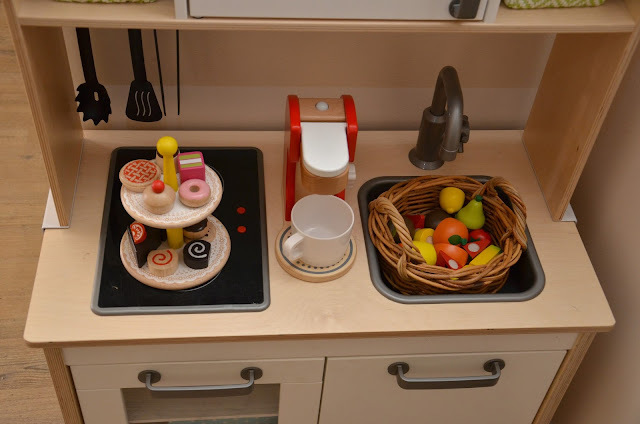 Have you ever tried adding a sensory play element to your play kitchen? A rainbow rice tea party? Make food out of play dough? (Play dough cupcakes are a great idea!). You could even put real water in the sink to wash dishes if you're game! This post wouldn't be complete without a mention to the outdoor MUD KITCHEN! Read this previous guest post from a few years back. Miss M enjoyed "potion making" at the recent Wild Imagination nature play day (separate blog post about this coming soon!). The actual kitchen itself. This is a great chance to upcycle old sinks, cupboards or furniture. Access to water, sand, mud, and other nature materials from your garden. Consider the elements. Make sure everything is waterproof and won't get damaged from being left/kept outside. Ok so this is what I want to know - do you have a play kitchen? Indoor? Outdoor? Anything on your wish list? Any suggestions for me to add? We do, Miss L got one for Christmas and served us lunch today. Dale and I like to pretend we're in an actual restaurant with Miss L a real waitress which leads to lots of laughs. To be fair, I've had worse service! Thanks for the mention Lauren! 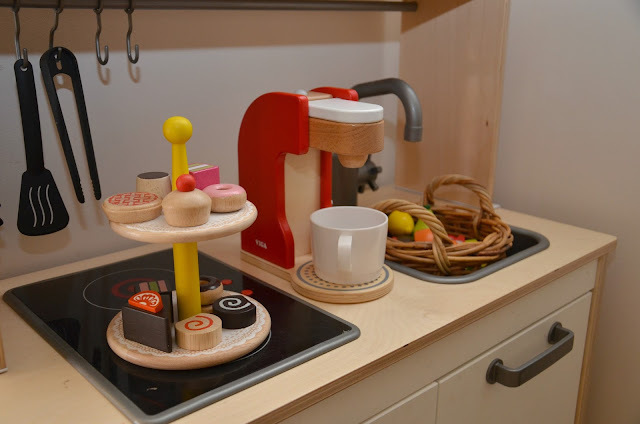 I'm so glad we could help you finish off your kitchen set up with our wooden coffee machine!